Although Salzburg can't compete with the galleries of Vienna, the modern art galleries in the city are still impressive. 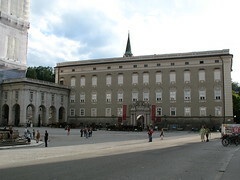 Add to that the world class Residenz Gallery, and you will find plenty here for the art lover to see. See below for more information on art galleries in Salzburg.